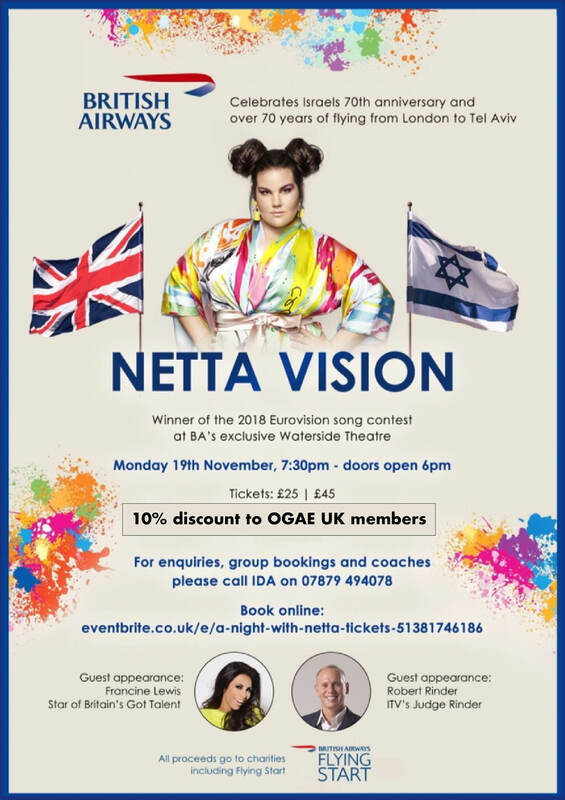 You are at:Home»OGAE News»Hurry – special offer to OGAE UK members! Netta Vision charity night! There are only a few days to go for this great British Airways charity event on Monday 19th November. All OGAE UK members will have received the special code for the 10% discount. Please check your emails.